Nine in ten teachers believe SATs are detrimental to pupils’ well-being and mental health. Of 1,200 primary school teachers surveyed by the National Education Union, 90 per cent reported crying, nightmares, changes in behaviour or high stressed among pupils ahead of the tests. Eighty-six per cent of the teachers also blamed SATs for lowering the quality of primary education by forcing schools to narrow the curriculum to focus on the assessment. The Department for Education previously promised to simplify questions in SATs after they left pupils in tears during a particularly difficult year for the tests. Ofsted also warned in December that the harder tests have resulted in a wider attainment gap between pupils on free schools meals and their peers. 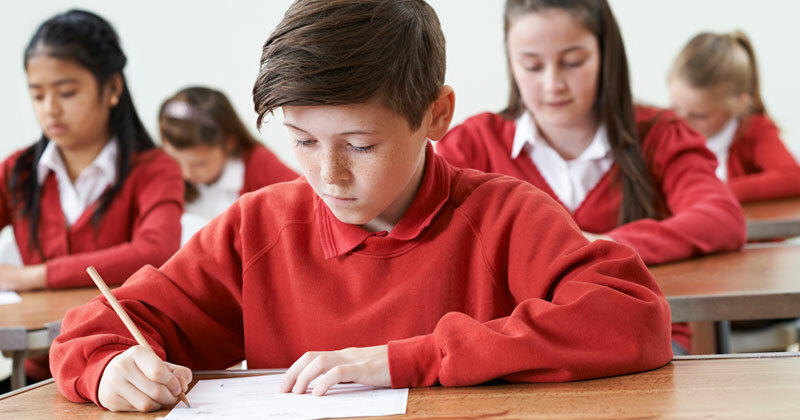 Last year, 61 per cent of pupils reached the government’s expected standard in key stage 2 tests for reading, writing and maths – still nowhere near the 80 per cent who met the standard in 2015 before the changes. Dr Mary Bousted, joint general secretary of the National Education Union, warned the government’s rhetoric about “standards” and “excellence” was creating a system “opposite to what they intended”. In a landmark curriculum report last year, Ofsted warned some schools now narrow the curriculum for year 6 pupils as early as Christmas, so pupils can cram for the tests. Some groups of pupils are also more likely to feel like failures, the NEU survey found. For example, 88 per cent of teachers said pupils with SEND were more severely affected by the tests, and 66 per cent said those whose first language is not English were more likely to feel stressed. Summer-born pupils are also more at-risk. “It is painful watching these most vulnerable children being made to feel less than the great human beings they are because they are aware that these activities don’t help them to shine,” said one teacher. The survey is not the first to find a lack of love among primary school teachers for SATs. A survey by The Key recently found three-quarters of primary leaders lack confidence in the assessment system. The Commons education select committee has also warned the accountability system for primaries is too “high-stakes”.